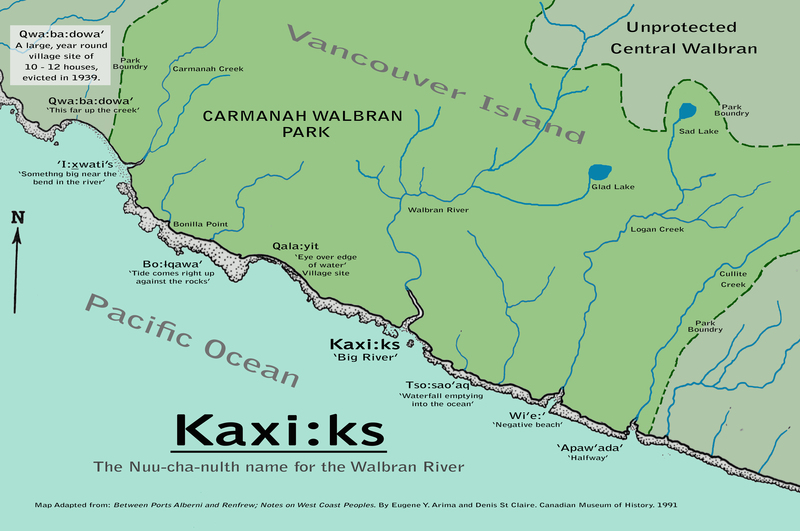 The Nuu-cha-nulth name for the Walbran River, Kaxi;ks, which translates as ‘Big River’ is taken from Between Ports Alberni and Renfrew by Eugene Arima and Denis St Clair, Canadian Museum of History, Ottawa, 1991. The above map, which is adapted with permission, also shows the village site of Qwa-ba-diwa which is located near the mouth of the Caramanah Creek. The First Nations families from there are attempting to get their main form of transport to and from the old village site repaired and the FoCW has been helping them. The boat was damaged in a wind storm in August 2015; the aluminum has recently been welded but now it needs help with the following, a new/used marine radio, a new/used depth sounder/GPS and a marine compass. 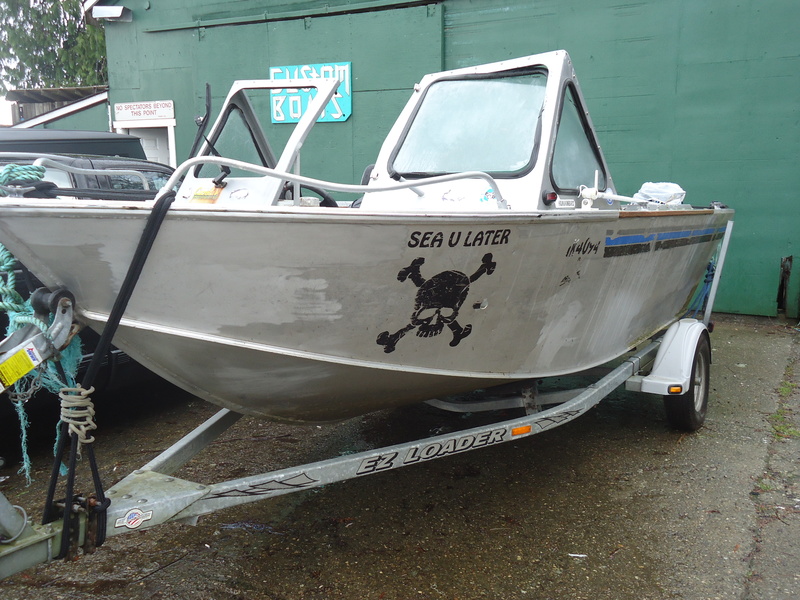 It also needs the 5hp Yamaha ‘kicker’ outboard rebuilt as it has suffered damage from salt water. Contact us by email if you can help and any funds are also appreciated, donate to our Gofundme and tag it as ‘boat repair’. Thanks.